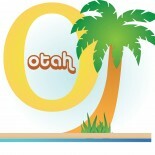 Membership to OTAH runs from July to June of each year. If you are interested in joining OTAH, please complete this membership form and send in your dues with it or pay with Paypal. If you are paying by Paypal, please be sure to leave an email address that is associated with your account or a valid email for us to invoice you for your dues within a week of receipt of your application. Please do not send any Paypal payments. We will invoice you. We are not responsible for payments sent without an invoice. When will the updated application be up for the 2017-2018 membership year? It will be up shortly with the new fiscal year. Please check back then! New membership applications will be out July 1. Thanks for your interest! Check the latests posts with the forms. Mahalo! Steve, Please email what you want to post and I can do it. Thanks!